Invest in the timeless beauty of guitars hand-crafted in Gibson's time-honored tradition, or experience the bleeding-edge thrill of Gibson's high performance guitars that reach all new heights of playability, innovation, and style. 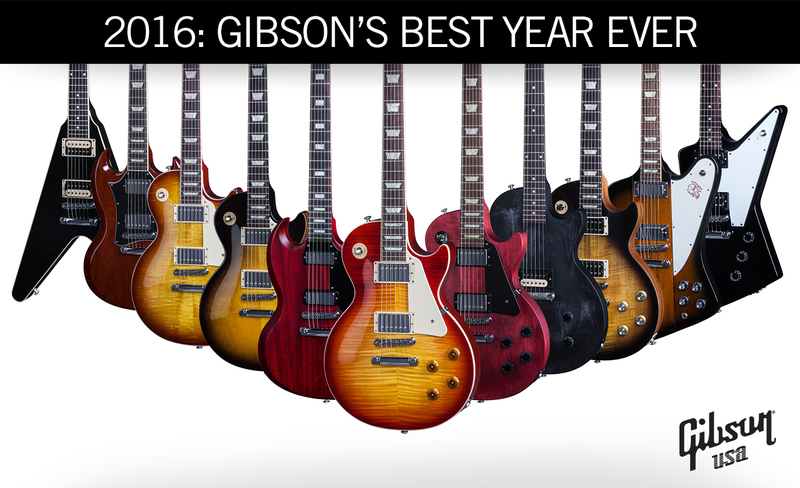 Play the guitar that you've always desired: Gibson USA's 2016 lineup presents the best guitars ever. You deserve it. * Specific Models Only. See product page for details. Copyright © 2015 Gibson Brands, Inc. All rights reserved.